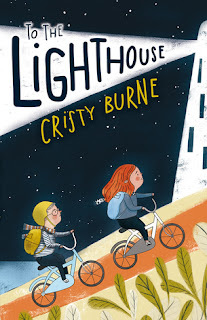 Junior fiction readers looking for an engaging story about a couple of young adventurers daring each other to push the boundaries while on an island holiday need look no further than To the Lighthouse. It’s a great read from start to finish and children in the six to ten years age group target audience will find it easy to relate to new friends Isaac and Emmy, who arrive at Rottnest Island on the same ferry with their families. Isaac is hoping for an awesome holiday adventure but Mum’s need to keep him safe could spoil his chances. Meeting Emmy, who’s allowed to do whatever she wants, presents exciting possibilities for fun at a level he’s never known. A midnight adventure that doesn’t go according to plan reminds the pair that being daring can also be dangerous. Burne’s writing is lively and energetic and she has a gift for bringing characters and setting vividly to life on the page. I felt like I was with Isaac and Emmy as they ventured around Rottnest Island, becoming more daring with each passing day. As a regular visitor to this popular WA holiday destination, I recognised the familiar landmarks, but young readers don’t need to know Rottnest to enjoy this wonderful exploration of friendship, family responsibility and the yen for freedom. Burne is a past editor of CSIRO’s popular science magazine Scientriffic and regularly writes for publications including Double Helix, The Ultimate Science Guide and Scitech’s news website. Her first book for children, Takeshita Demons, won the 2009 Frances Lincoln Diverse Voices Book Award and was selected as part of the 2010 Booktrust Booked Up program.